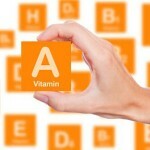 Genetics: Are You Converting Enough Beta Carotene to Vitamin A? This entry was posted in Front Page, Uncategorized and tagged Genetics, Vitamins & minerals. Bookmark the permalink.